Everybody knows that great eyes can be a blessing. They are the main feature of the human face and amongst one of the most important body parts so, a person should take good care of his or her eyes. Eyes may suffer from many diseases and dry eyes are one of them. Dry eyes are caused when the tears produced by your eyes are not able to provide sufficient moisture content. This can be caused due to many reasons; either your eyes are not producing enough tears to provide adequate moisture and lubrication or they are not producing tears of good quality to stay healthy and comfortable. Dry eyes can also be caused if tears get evaporated to soon from the film of a person’s eyes. Tear film consists of three different layers. The outer most layer is the oil layer and its purpose is smoothing of the tears surface, but its most important role is that it reduces the rate of evaporation of tears from the surface of the tear film. The next layer is watery layer. This is the layer which actually produces tears, which are used to clean the eye and wash away any foreign and irritating particles. Then comes the innermost layer which is called mucus. Mucus helps the watery layer to spread over evenly, and helps the eye in remaining moist. What makes you a target of dry eyes? Dry eyes are most common in people above 60 years of age. If a person is suffering with dry eyes, his or eyes will not feel comfortable. The other symptoms of dry eyes are that, the person will feel persistent dryness and scratchiness and can also feel a burning sensation in the eyes. Dry eyes can also occur in certain situations, such as when you are on an airplane, when you are in an air-conditioned room, while riding a bike or you can also feel dry eyes after looking at a computer screen for many hours. When you visit the doctor, the doctor will try to measure the amount of tears that your eye is producing. After measuring the amount of tears that your body is producing, the doctor will prescribe you an artificial tear solution. These solutions can easily be bought from medical store and dry eyes will be cured and thus will prevent your vision from being affected. In case you think you are suffering from dry eyes, you should consult some qualified specialists like, Cornea Consultants of Arizona. Nature has bestowed upon us a number of different blessings and creations. One of the greatest blessings is man himself – the human body is no less than a miracle. Every single body is a system in itself, which fulfills a vast set of activities, and we forget the importance of these blessings until we are devoid of them. Sight is amongst the most unique gifts of God, enabling us to see and cherish our surroundings. Sometimes, however, vision, or, the proper functioning of the eyes, deteriorates due to functional disorders. Thankfully, surgical procedures are now available to repair and correct eye ailments and malfunctions. Eye surgeries and corneal transplants provide a ray of hope for all those who have long awaited the treatment of previously incurable eye ailments. Cornea & Cataract Consultants of Arizona facilitate these needs. Cornea transplant is a surgical treatment which treats the clear outer portion of the eye. The procedure is also referred as a corneal grafting. Corneal grafting usually requires a healthy cornea from a donor. In some cases, a portion of the cornea needs to be changed, and in other cases, the entire cornea itself. Surgery is performed in conjunction with the consultation of a board of doctors and medical specialists. The recovery period after surgery may vary from patient to patient, depending upon the patient’s health. All patients will be monitored post-surgery for optimal performance and results. 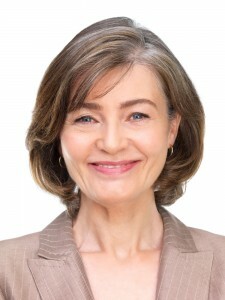 Aging can do a lot of things to our bodies and even impair our vision as we get older. Cataract, an eye condition where there is clouding of the lens, is not only caused by aging, but can also happen as a result of physical, chemical, or drug injury. Here at Cornea & Cataract Consultants of Arizona, we offer various cataract treatments. Vision can be improved by using new eyeglasses prescribed by your eye doctor or the use of magnifying glasses. However, there are cases when cataract surgery in Phoenix is needed. Cataract surgery is done to remove or cleanse the cloudy lens that has been affecting the patient’s vision and replace it with a clear, artificial lens. A technique called phacoemulsification is commonly used during cataract surgery. Also known as “small cut cataract surgery”, this method involves creating a small incision on the lens while its center section, which is the harder part, is liquefied and removed through a vacuuming motion. Intraocular Lens Implantation: What Is It? Once the cataract is completely removed, a new one, which is called an intraocular lens (IOL), is inserted. The IOL is made of clear plastic, silicone, or acrylic and helps bring back normal vision. Oftentimes, the procedure even minimizes the patient’s dependence on prescription glasses or lenses after surgery. What’s great about your new, replacement lens is that they are permanent and may not need any special care. However, cataract surgery is not a substitute for laser vision correction. To learn more about your treatment options and to know if you need cataract surgery, schedule an appointment with one of our eye experts today. You may contact us by calling 602-258-4321 or filling out this online form. 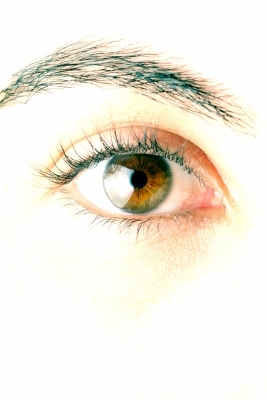 The eyes are not only the “windows to the soul”, but they are also vital organs of the body. 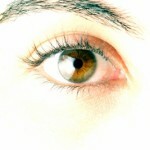 Because of this, there is never an excuse to take the health of our eyes for granted. Protecting one’s eyesight can be easily done with the following tips and practices. Eat good food for good vision. Make sure to eat foods that are rich in omega-3 fatty acids, vitamin C and E, lutein, and zinc. Such vitamins and minerals are known to ward off vision problems that are commonly caused by aging. If you need another reason to quit smoking, it is the fact that the habit is one common source of significant eye problems, such as cataract, macular degeneration, and optic nerve damage. Don’t get disappointed if you failed to quit the first time you tried. The more you keep trying, the more you are likely to be successful. Wear appropriate sunglasses and eye gear. Our eyes are a sensitive part of our body, which is why it is important that it is protected at all times. The sun’s UV rays can be harmful to the eyes and is likely to put you at risk for macular degeneration and cataracts. Wearing the right kind of sunglasses, such as those intended to block both UVA and UVB rays, help protect the eyes. Safety eyewear is also a must-wear when engaging in sports and hazardous activities that involve exposure to airborne materials. Another way to maintain good eye health is to have regular eye exams. Our eye doctors at Cornea & Cataract Consultants of Arizona will examine your eyes and provide you with instructions on how to take care of them properly. Call us at 602-258-4321 to schedule an appointment with one of our doctors today. The eyes are an essential part of the body. Vision is as important as having limbs to use each day, which is why it is always vital to get an eye condition treated before our eyes reach the stage of blindness. The thinning of the cornea is a condition that can lead to vision problems. In this case, a cornea transplant may be needed. A cornea transplant comes in different types, depending on the layers of the cornea being treated. Penetrating or full thickness transplant. This method of cornea transplant involves the transplanting of all five layers of the cornea from a willing donor. Lamellar transplant. This type of cornea transplant only involves some of the corneal layers. It may include the deepest layer known as the endothelium or those closer to the surface or the anterior lamellar method of cornea transplant. On the day of your treatment, you may be put under local anesthesia to numb your eye and prevent it from moving. Although sedated, you will most likely be awake throughout the surgery. However, there are cases where general anesthesia is also used. Using a special cutting instrument known as trephine, a round section of the affected cornea is removed from the front of the eye. A similar-sized section will also be removed from the donor’s eye. Your surgeon will then replace your old cornea with your donor’s cornea by sewing it in place with microscopic stitches. Have your eyes treated and enjoy the perks of having good vision. Call us at 602-258-4321 to schedule a consultation with one of our eye experts here at Cornea & Cataract Consultants of Arizona. We look forward to hearing from you! A lot of people suffer from poor vision. As a solution to this, they would have to deal with corrective glasses and contact lenses. Of course, seeing the world without anything obstructing the view or having to wear contact lenses is a whole lot better. It is a good thing laser eye surgery, or LASIK as more popularly known, is available for those who want to correct their vision permanently. With a lot of affected people still left untreated, quite a number of them believe in pure LASIK myths. We have debunked the top 3 LASIK myths for you. Myth: LASIK is not surgery. Many people believe that LASIK, since it utilizes laser technology and does not require cuts and incisions, is not a real surgery. However, LASIK is considered surgery by most eye doctors. As with any other procedure, it also comes with risks. Myth: Long-term side effects from LASIK are still undiscovered. A lot of people think that laser as a vision correction method is a new treatment, which means that long-term side effects are still unknown. Contrary to this belief, LASIK has actually been around in the US since the early 1980s and was widely practiced during the mid-1990s. Up to the time of this writing, the treatment has not posed any long-term side effects to patients treated. Myth: LASIK can end one’s need for prescription glasses forever. While LASIK has been popular because of the successful results it brings to patients, an individual’s degree of improvement only depends on himself. The results will depend on how well the patient heals and how severe his original prescription was. Moreover, as people age, the need for reading glasses is quite probable. Get rid of your glasses and contact lenses. Learn more about laser eye surgery by calling us today at 602-258-4321 to book an appointment with one of our eye experts here at Cornea & Cataract Consultants of Arizona. Some people prefer to wear contact lenses than prescription glasses. Of course, contact lenses do not block the view and can improve the eyesight in a 360 degree angle. However, there are others who shy away from getting contact lenses because of their dry eye condition. There are people who experience this condition more often than others and are afraid their situation might worsen when they wear contacts. 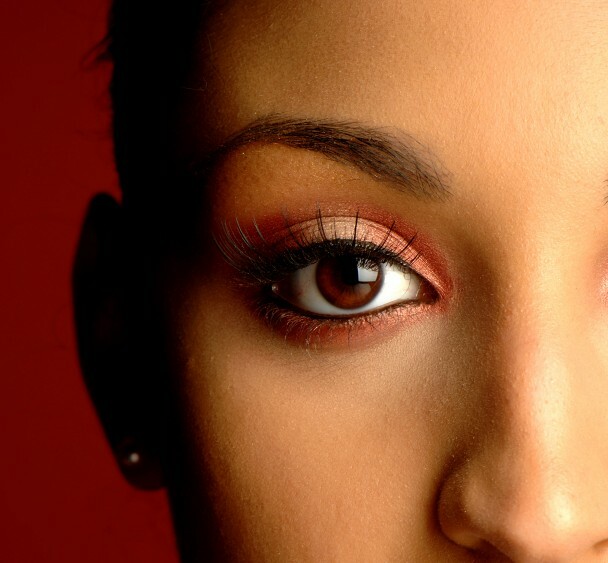 Although it is true that contact lenses are capable of drying the eyes, it is possible to prevent this from happening. If you have dry eyes syndrome, you can still wear contacts and enjoy better vision when you apply the following tips. 1. Visit a reputable eye doctor. We at Cornea Consultants of Arizona are qualified to check your condition and suggest the appropriate contacts to address it. Schedule a consultation, have your eyes checked, and know which lenses are right for you. 2. Choose the right contact lenses. There are certain types of contacts that are designed for individuals with dry eyes. Particularly, you can choose watery contact lenses. This type is equipped with high moisture levels that will help address your eyes need for moisture. When you have dry eyes, these lenses work better than the regular ones in the market. 3. Carry eye drops with you all the time. When you have dry eyes, you can be prone to getting them especially when you wear lenses all day. A good solution to this is to carry eye drops or artificial tears in your bag in case your eyes feel dry. This will lubricate the eyes, keep them moist, and avoid any pain from occurring. Learn more about how you can manage your dry eyes. Give us a call today at 602-258-4321 to schedule an appointment with our eye experts. Cut Smoking, Cut Cataract Risk! Smoking and cataract? Not a good combination. Smoking has been associated with a lot of medical diseases, and the number just keeps on increasing, even adding to the list an eye condition known as cataract. Cataract is a common medical condition in which the lens of the eyes gradually become cloudy, leading to impaired vision. If you don’t want a future with blurry eyes, then you better cut down on the cigarettes – or you might as well decide to quit smoking entirely. Recent researchers in Sweden have found out that cutting down on smoking can lower one’s risk for cataracts. They have concluded that among middle-aged men who puffed at least 15 sticks a day, cataract risk is lowered over a two-decade course when they quit the habit. According to the report by Dr. Birgitta Lindblad and colleagues at Orebro University Hospital, although smoking cessation can minimize one’s risk for cataract, the risk in former smokers can persist for years. The researcher added that eye care professionals should be one with preventing smoking and cutting the habit especially among individuals who are at great risk for eye diseases. Based on their study, which was published January this year at the JAMA Ophthalmology, men who smoke more than 15 sticks of cigarettes a day are 42 percent more at risk for undergoing cataract removal surgery than those who have never smoked in their lives. When a person quits entirely, the risk is significantly reduced according to the authors. The study further showed that after 20 years of quitting, men who had been smokers have reduced their risk for cataract removal up to 21 percent. However, when cataract finally affects your vision, you have to get treatment right away! Call us today at 602-258-4321 and let our cataract consultants treat your condition. Although our corneas have the ability to quickly heal minor injuries before the occurrence of any visual disturbances, they are not able to heal deeper injuries. Not only that, this condition can permanently damage one’s vision. In this case, a corneal transplant may be your best option. Before considering one, you will need to undergo a thorough eye examination with a qualified eye doctor. This is when exact measurements of your eye will be taken to identify any problems in your eyes that could affect surgery in any way. It is important to make your doctor aware of any existing or previous medical conditions, as well as any prescription or over-the-counter medications that you are currently taking. Some of these meds may interfere with the outcomes of your corneal transplant, as well as your blood clotting abilities, and may have to be cut down. Avoid eating or drinking anything after the midnight before your surgery. Wear loose and comfortable clothes on the day of your corneal transplant. Keep your face free of any products, such as makeup, creams or lotions. Arrange someone to drive you home right after your surgery. Your cooperation is essential in having a smooth-flowing and successful surgery. If you think you need a corneal transplant or would like to learn more about the procedure, book an appointment with us today by calling 602-258-4321. Tired of Having to Wear Contacts? Consider LASIK! Contacts may be convenient alternatives to eyeglasses, but they come with a couple of drawbacks too. The repeated purchases can be a hassle not only to you, but to your budget as well. Then there’s having to carefully and thoroughly clean and sanitize the lenses. Another issue about contact lenses that may put your eye health at risk is the possibility of corneal neovascularization. This condition is characterized as the growth of blood vessels into one’s cornea. This can be a problem as the cornea supposedly does not have any blood vessels (making LASIK a safe surgery since blood loss is not possible). The cornea only gets its oxygen and nutrients from the atmosphere itself. One common cause of corneal neovascularization is the cornea’s lack of oxygen, which is known as corneal hypoxia. When this happens, it is the eye’s compensating action to grow abnormal blood vessels around the cornea. What’s worse is that these blood vessels will never go away once it has appeared there. Having contacts on all day can deprive the cornea from enough oxygen. This is when LASIK surgery comes in. If you wear contact lenses most of the time, it might be time to consider laser correction surgery for your eyes. With LASIK surgery, your cornea will be reshaped directly, giving you a much clearer vision. If you are interested in LASIK surgery, call us today at 602-258-4321 to request a consultation with our team of LASIK experts. We look forward to hearing from you!